A super easy, healthy and delicious raspberry granola yoghurt smoothie that comes together in less than 3 minutes, great for filling and cheering you up! 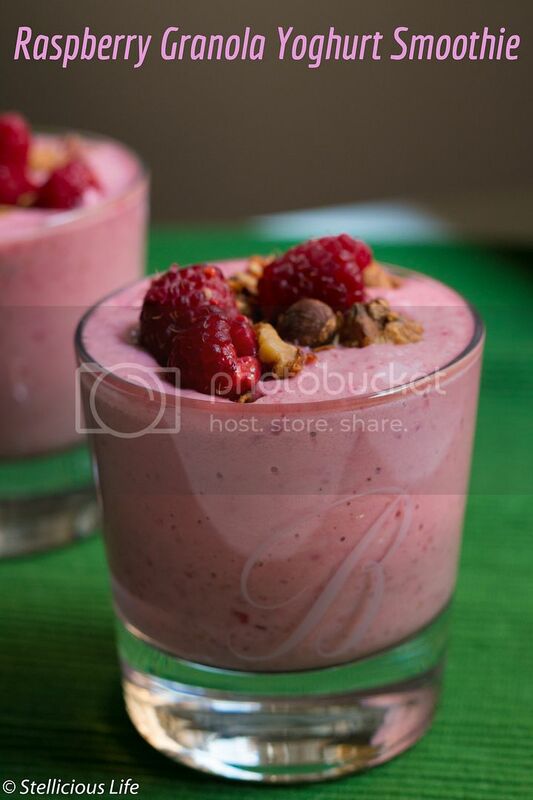 When you have kids clamoring for something to eat immediately, or just need a quick and delicious pick me up (because the bright colour of this raspberry smoothie will most certainly cheer you up) make this quick treat for breakfast or a healthy snack. It comes together so quickly, that seriously the washing up will take more time than making it! 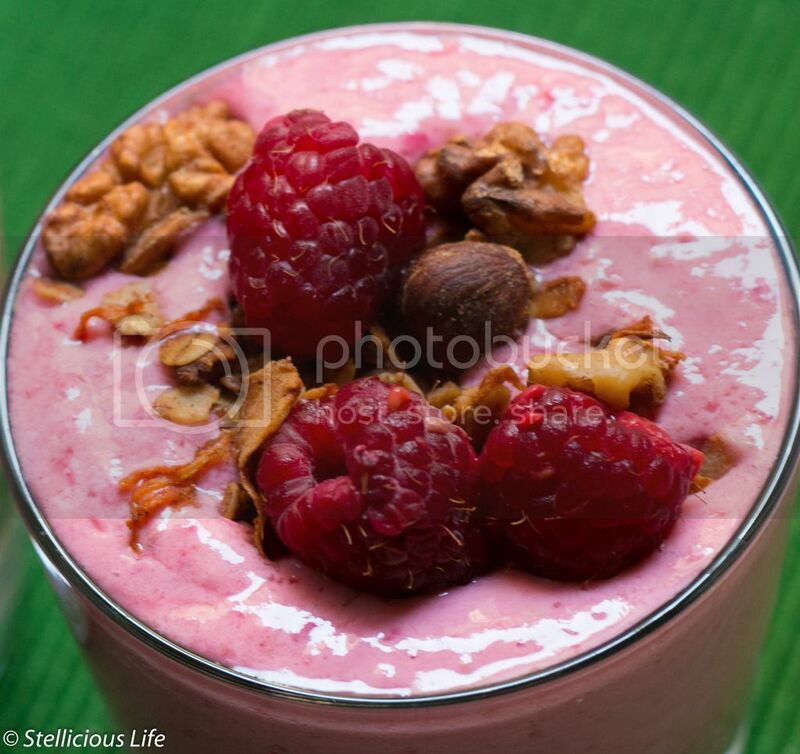 Put the Greek yoghurt, water or milk, raspberries and maple syrup in a blender and pulse until smooth. 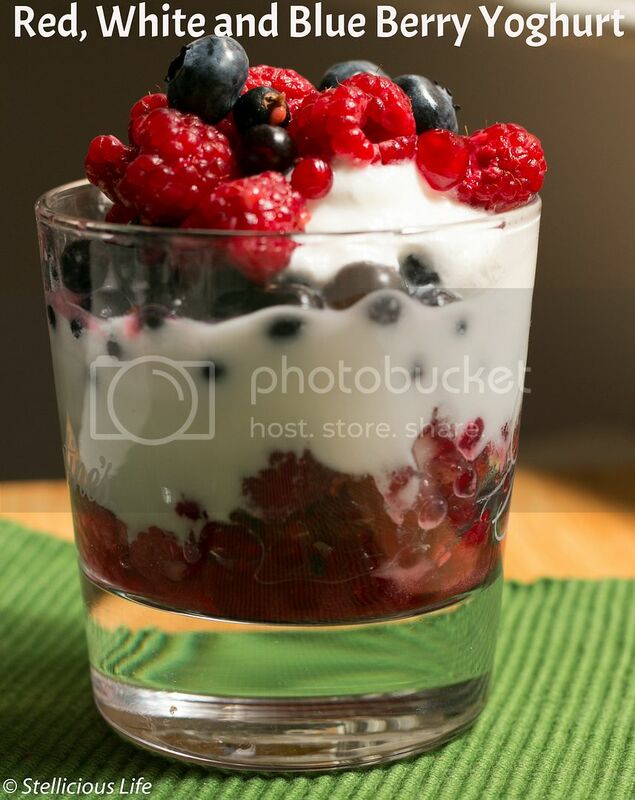 In a glass or bowl mix or layer the granola and the raspberry smoothie, garnish with a bit more of granola and raspberries on top, enjoy right away! You can make the recipe vegan by using vegan yoghurt and nut milk. If you find the smoothie too tart add some maple syrup or honey. You can 'amp it up' by adding some shredded coconut, seeds (hemp, chia or sesame), nuts or caco nibs if you want more crunch.